Lexus unveiled the new GS at the prestigious 2011 Pebble Beach Concours d'Elegance in California. The car will reach the UK market in 2012. 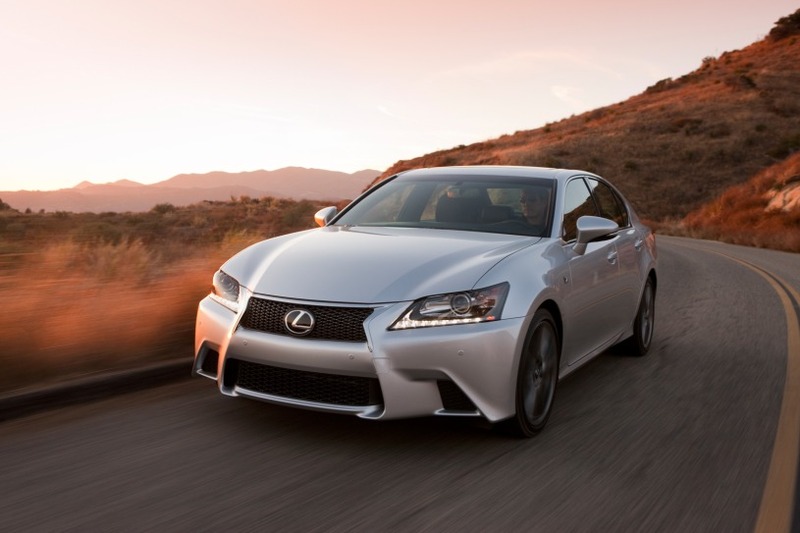 The new Lexus GS brings a more engaging driving experience, bolder design and a more spacious, contemporary interior, heralding a new chapter in the history of Lexus. Starting with the bold spindle grille - set to be a signature feature of future Lexus models - the new GS conveys an air of confidence. 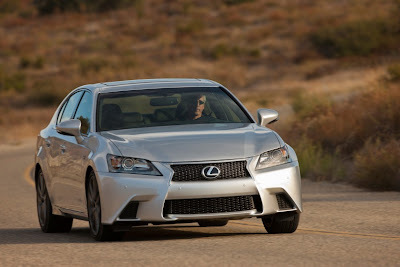 This is supported by a redesigned chassis with a wide, strong stance that clearly signals the new Lexus GS is designed to inspire and reward driver participation with crisp and precise handling. 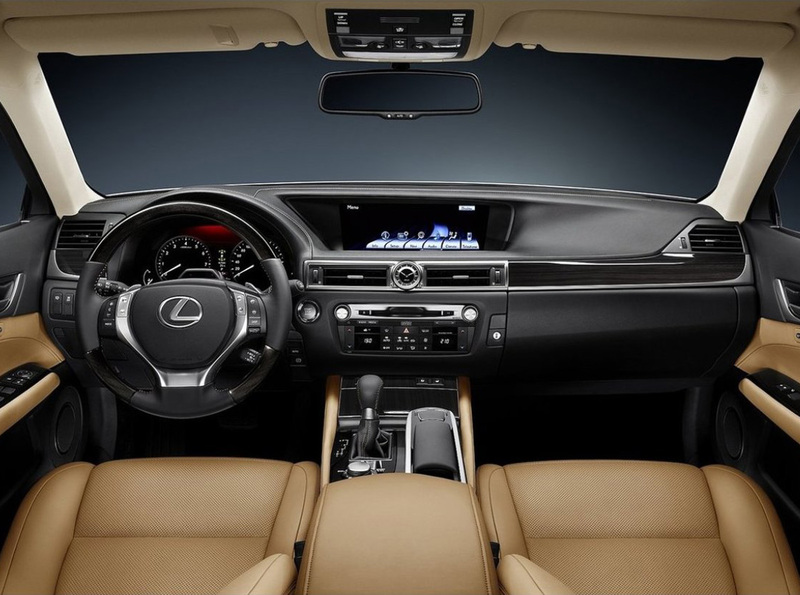 Lexus engineers challenged themselves to develop a more spacious interior environment for the new Lexus GS. Leaving exterior dimensions virtually unchanged, they increased cabin and boot space to create a richly appointed interior that will transport passengers and their luggage in comfort, regardless of distance. 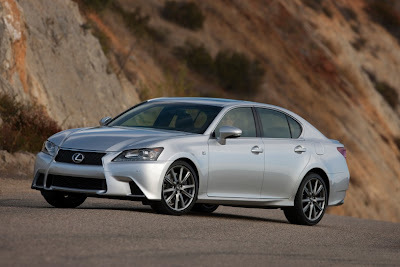 The new Lexus GS will be launched in early 2012, including hybrid and F-Sport versions. For the UK there will be the GS 450h full hybrid and GS 250 petrol engined derivatives. Designing the new Lexus GS to be both strong and agile was a key focus of the engineering team. Their main objective was to provide a more engaging driving experience. To achieve this they created a new aerodynamic body, a wider stance and stiffer structure, a transmission with quicker changes and distinctive engine sound and exhaust note. The revised platform is more rigid compared to the previous model thanks to an increased number of spot welds and adding laser welds in very specific locations. The track, wider by 40mm at the front and 50mm at the rear, works in combination with a revised suspension design to give a more assured stance and superior cornering performance. 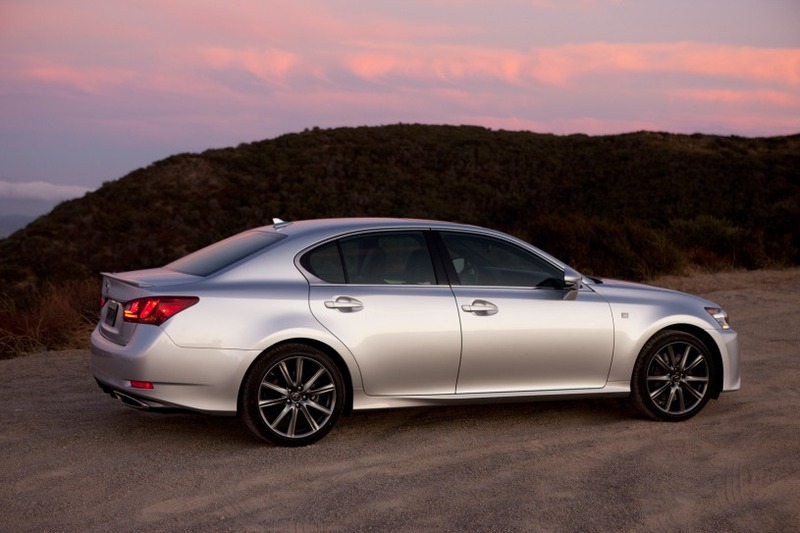 The new suspension system is designed to guide the Lexus GS through corners with precision. In the front, aluminium upper and lower control arms employ larger bushings. The rear subframe has been completely redesigned to accommodate an all-new multi-link rear suspension, the improved geometry enhancing rear-end control. With the stiffer platform and lighter components, the shock absorbers can use lighter-viscosity oil, responding faster to small inputs. The precisely sculpted exterior of new Lexus GS fuses distinctive style with engineering functionality, expressing a new generation of Lexus' design philosophy which will be applied to future models. The signature spindle grille with its trapezoidal contours integrates into the aggressive front bumper to allow for efficient airflow. This distinctive Lexus design feature, combined with the deep-set, high-tech headlamps and L-shaped LED daytime running lamps, express the vehicle's confident and dynamic character. The headlamps use a projector beam design, adding a strong, chiseled appearance and excellent illumination. From the side, the GS projects the image of a spacious performance saloon with a road-hugging stance. The tapered lower door sills and the short front overhang give the vehicle a sense of motion while width-enhancing wheel arches add an athletic stance, suggesting the vehicle's dynamic abilities. Painstaking attention to detail has been applied to the Lexus GS cabin to create a balance of luxury, technological amenity and emotional design. Focused around the driver and the driving experience, it also provides more space for all occupants, increasing the comfort of both front and rear passengers. The new layout of the long, sculpted dash gives the driver and front passenger a sense of roominess through its clean centre stack and large high-resolution display screen. Most of the comfort and convenience controls such as audio and climate are relocated to provide a cleaner and more sophisticated dash layout. 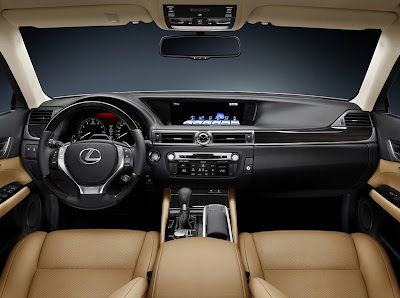 Among the class-leading 10 airbags in the new Lexus GS, there are knee airbags for both driver and front passenger. Rear seat occupants have seat-mounted side airbags, and all four outboard occupants are equipped with side curtain airbags. Options include a pre-collision system, which uses the dynamic radar cruise control system to provide early warning of upcoming objects that might result in a collision. The system also uses a first-in-class infrared camera to monitor the driver's eyes. If the driver is not looking forward when a collision appears imminent, the system will sound a warning sooner than otherwise. If the driver still does not respond and make the appropriate manoeuvre, the system will initiate braking up to two seconds prior to impact, helping to lessen the severity of the collision. Other available safety systems include a Night Vision System that enhances driver visibility in the dark; Head-Up Display (HUD); a Blind Spot Monitor that helps detect vehicles in rear/side blind spots; and Lane Keep Assist (LKA) with Lane Departure Warning (LDW). Lexus GS is the first in its segment to offer LKA with active steering torque to provide a small assistance in maintaining course, while the LDW feature alerts drivers if they begin to drift out of their lane. Next-generation Lexus multimedia brings a host of standard entertainment and connectivity enhancements, including enhanced Bluetooth® capability with automatic phonebook download and streaming audio.